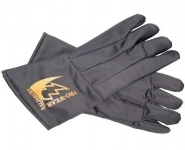 Salisbury Pro-Wear arc flash gloves are available in ATPV ratings of 12 cal/cm² to 100 cal/cm². 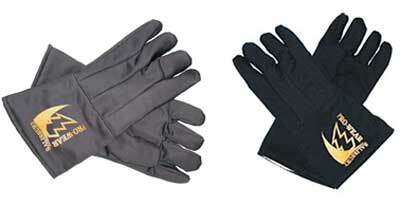 Salisbury arc flash hand protection gloves are sewn with Nomex hread and made from an arc rated material. All Salisbury Pro-Wear arc flash protection gloves are 14" long and designed in a clute cut style. One size fits most. *IMPORTANT: NFPA 70E Does not have a hazard risk category above 40 cal/cm². Working on levels above 40 cal/cm² should be avoided because of the blast hazards caused by arc flash. CAUTION: Arc Flash Gloves do not provide electrical protection. Do not use when insulated gloves are required.